The Love Lifestyle: You Are Not Superwoman! *Yesterday, I was speaking to friend and we were sharing with each other the importance of women being apart of a tribal conscious community. As women we are inherently tribal. I can remember a time when women raised their babies together, did laundry together, cooked together and helped each other through the ups and downs of life. During my child bearing years, I remember giving my old my maternity clothes to the next woman who was pregnant, or as my children out grew their clothing, the clothes automatically went to the next woman who had kids younger than mine. If someone had a garden, we all were blessed with the fruits of their labor. One week I’d to pick up everyone’s kids from after-school activities, and the next week it was another mommy’s turn to play taxi. If someone’s husband walked out on them, the entire tribe gathered our resources to make sure our sister and her children were fed and back on their feet in no time. No one was alone in the tribe, even if they wanted to be. Sunday dinners became shared meals and if someone needed child care, it was never a bother and it was always free. What happened to those days? What happened to the times when women knew how to make much out of little and we knew the importance of sisterhood and having each other’s back? We have turned out hearts externally to the things which brings us little to no fulfillment. We have become competitive instead of collaborators. We have become covetous instead of complementary. We have become suspicious instead of supportive. We live in a time where our beliefs are, “independent, strong women are great women.” This false belief of individualism has costs us the very thing that we most need…each other. We need other women to encourage us, to unstick us when we get stuck, to love us when we can’t love ourselves, to remind us of the important things when we forget, to inspire the “heck” out of us with the unlimited possibilities we have in our lives and to call us on our stuff even when we don’t really want them to. We need our tribes. We need a community of loving, caring sisters who will provide us with endless amounts of inspiration, empowerment, support and love! Do you want to radically change your life? Then it’s time to surround yourself with examples of people who will show you that it’s possible. You’re not Superwoman. You’re not a one woman roadshow. Stop trying to be perfect and infallible and so great that you never need anything or anyone. If you want to live a deeper, more meaningful existence, then engage in deeper, more meaningful conversations with the people talking about deeper more meaningful things. Whether you’ve just had a baby, or you are struggling with food, or you’re trying to manage a household, love a family, love a partner, and run a business, for the love of all that is good in the world, ask for support. Seek out possibilities, surround yourself with inspiration, and what seemed impossible will soon become the only thing you know. You! Need! Support! : practical, emotional, spiritual support. 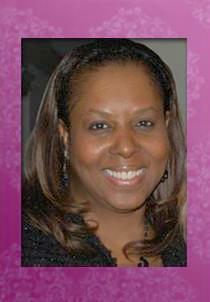 Angela Carr Patterson is an author, speaker, life coach and the host of an Internet based radio talk show. Everyday, she coach women on how to live “The Love Lifestyle” and help them to transform their relationships with men and money while empowering them to live their dreams. Contact Angela Carr Patterson angela@thelovelifestyle.com www.thelovelifestyle.com , www.lovestorywomencircle.com.